Suzanne Collins: No. Now, shut up and eat your pears. No. 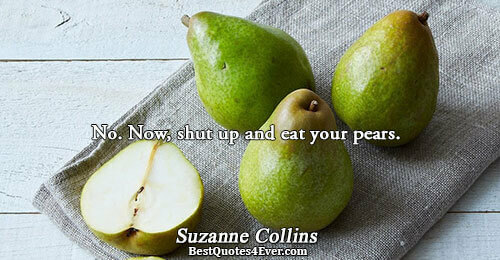 Now, shut up and eat your pears.